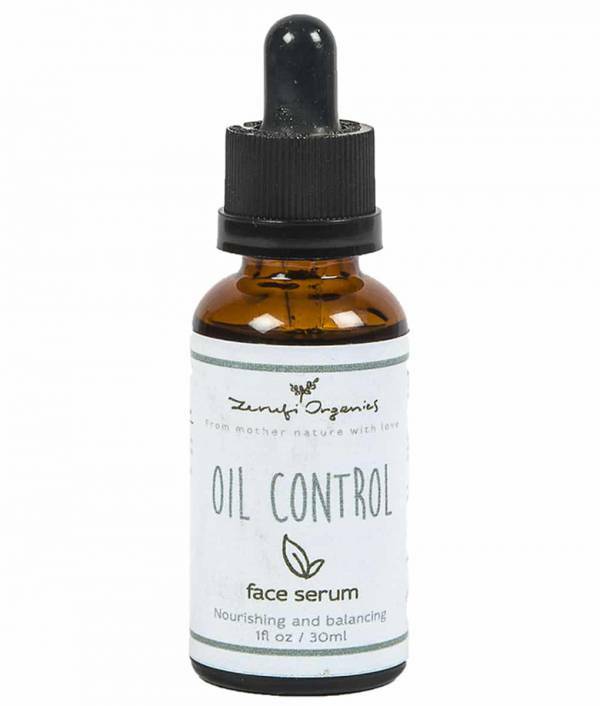 For proper oil control and a smooth non-glossy face, use Zerufi Organics Oil Control Face Serum: a light, herbal treatment formulated to help your skin balance its own sebum production, ensuring a less oily face and reducing your risk of irritation and acne. 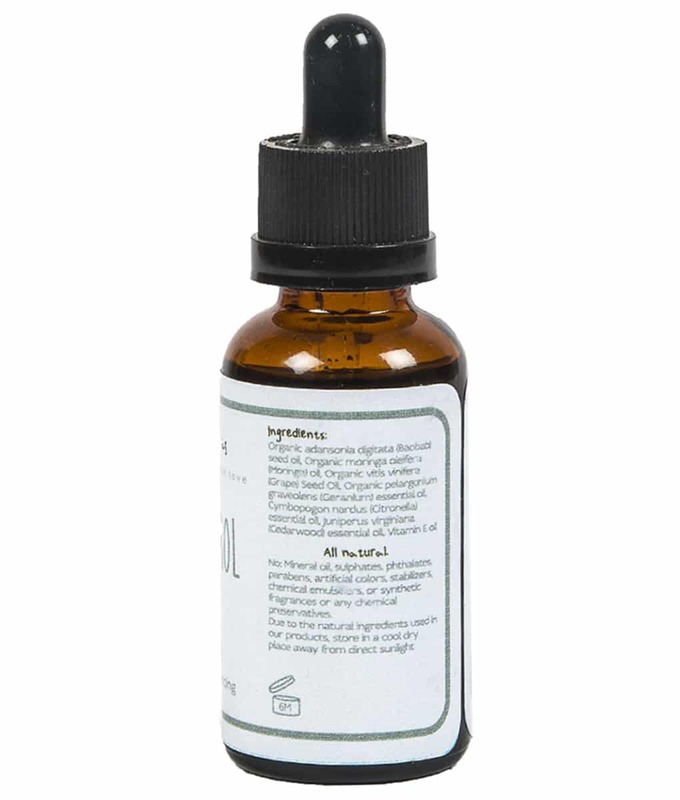 This non-sticky, non-oily serum contains the most optimal ingredients that help regulate, restore and revitalize your skin. 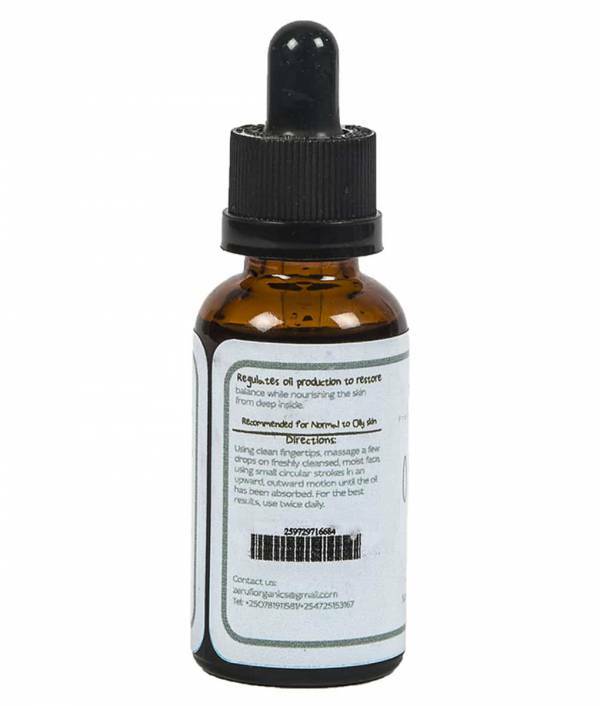 Moringa oil is extremely calming for overactive or problem skin, tea tree oil greatly ease sensitivity around the pores, while Baobab oil and a blend of other essential oils moisturizes your skin and rids it of blemishes for a fresh clean look. With regular use, your skin should start to smooth and settle, with less gloss and fewer breakouts, leaving you with a smooth matte look that lasts throughout the entire day. Apply a few drops to your face and neck after cleansing, rubbing it in with circular motions while skin is still quite damp.